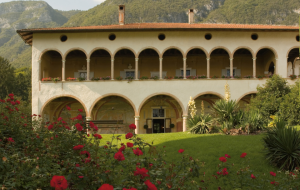 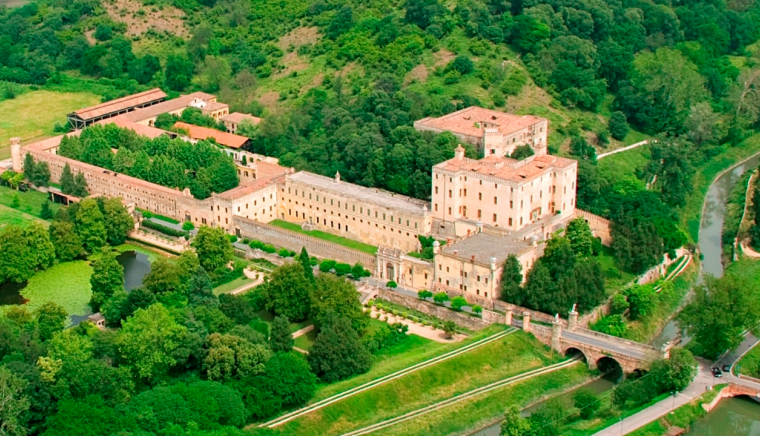 The majestic princely residence of Beatrice degli Obizzi with its 350 rooms is located in the province of Padua, inserted in the suggestive hilly landscape that surrounds it. 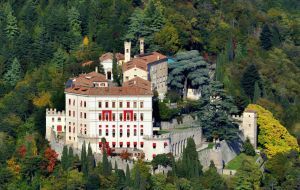 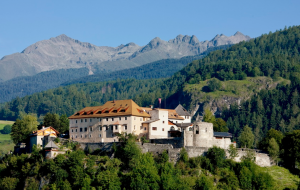 The imposing complex, whose external appearance recalls the image of a military fortress, stands on the slopes of Montenuovo and is surrounded by a large garden with fountains and numerous architectural and sculptural elements. 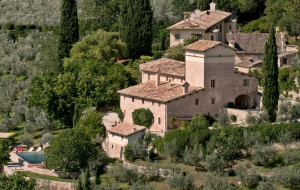 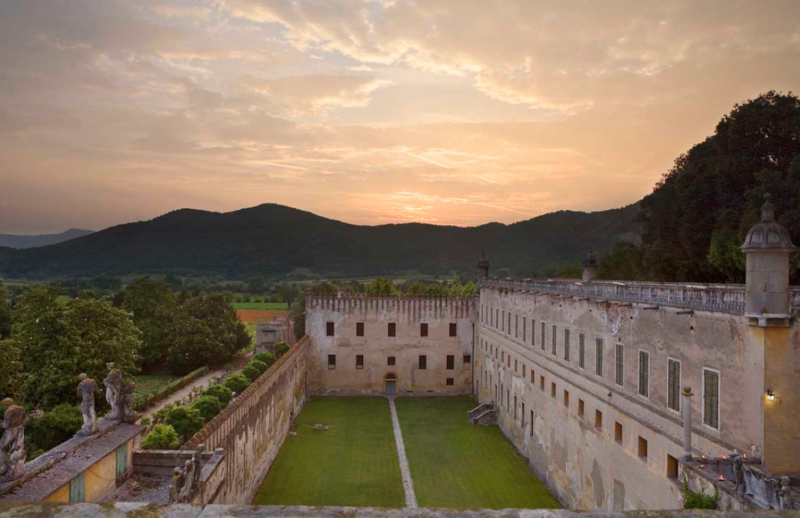 The Castle of Catajo is built by the Obizzi family, originally from Burgundy (France), arrived in Tuscany around the year one thousand following the Emperor Arrigo II and later established in the territory of the Republic of Venice. 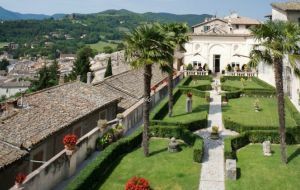 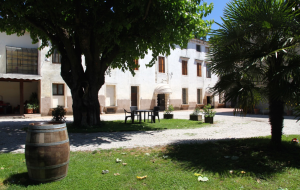 The purchase of the land takes place in the middle of 1500 and the dwelling is completed in only three years in 1570 by Pio Enea I degli Obizzi, famous "Captain of fortune" (to whom is the invention of the hedge, small siege cannon ). 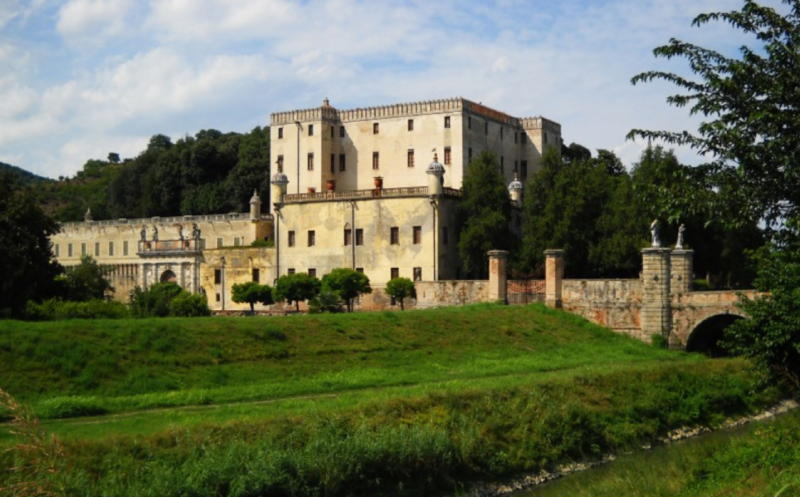 The structure is articulated on over 350 rooms, some of which frescoed by Giovan Battista Zelotti, pupil of Paolo Veronese and an artist particularly appreciated by the Venetian nobility. 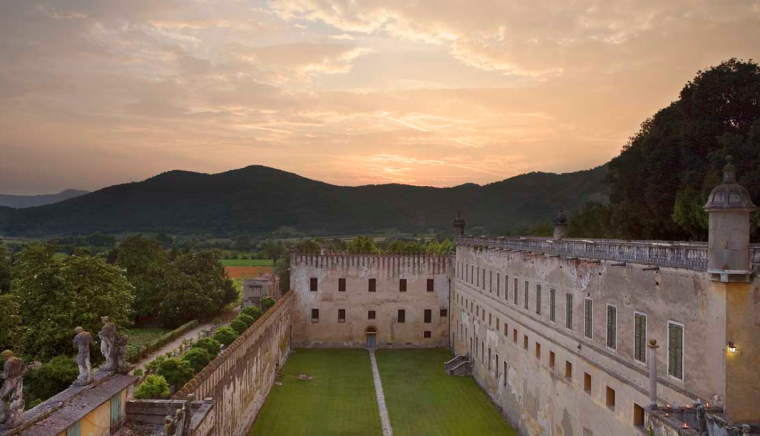 The castle is expanded and enriched with works of art and collections until the death of the last heir Tommaso degli Obizzi - in 1805 - when the property passed to the Estensi, lords of Modena. So the Catajo becomes a possession of the Archduke of Austria Franz Ferdinand who made it a hunting residence, taking away rich collections of weapons, paintings and musical instruments until, at the end of the First World War, the castle is assigned to the Italian government as reparation for war damages and in 1929 it was sold to the Dalla Francesca family who remained the owner until 2016. 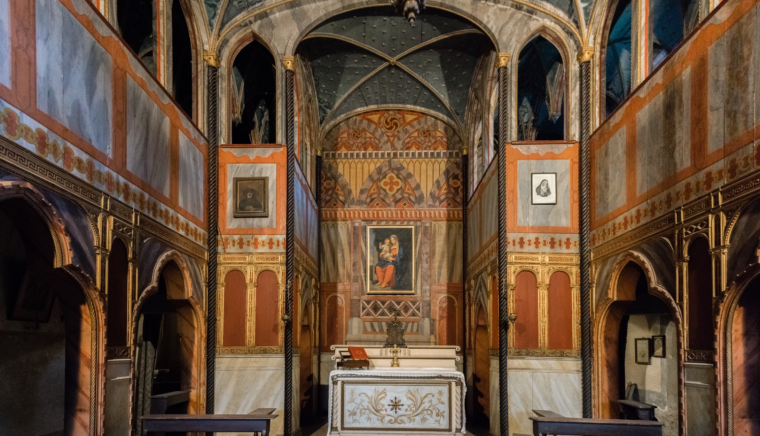 Six interior rooms, decorated and frescoed with pictorial cycles dedicated to the Obizzi family, are able to accommodate 350 people. 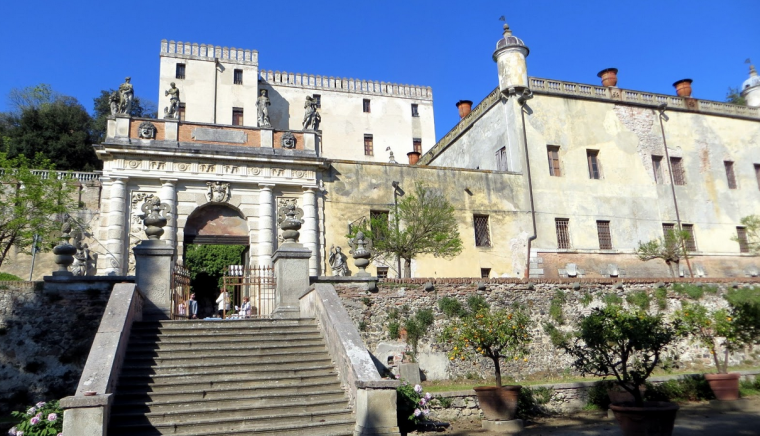 From the entrance portal, transformed into a triumphal arch by Tommaso Obizzi, you enter the "Cortile dei Giganti", which was often used for theatrical performances (much loved by Obizzi) and tournaments, also aquatic, as the lower part could be filled with water. 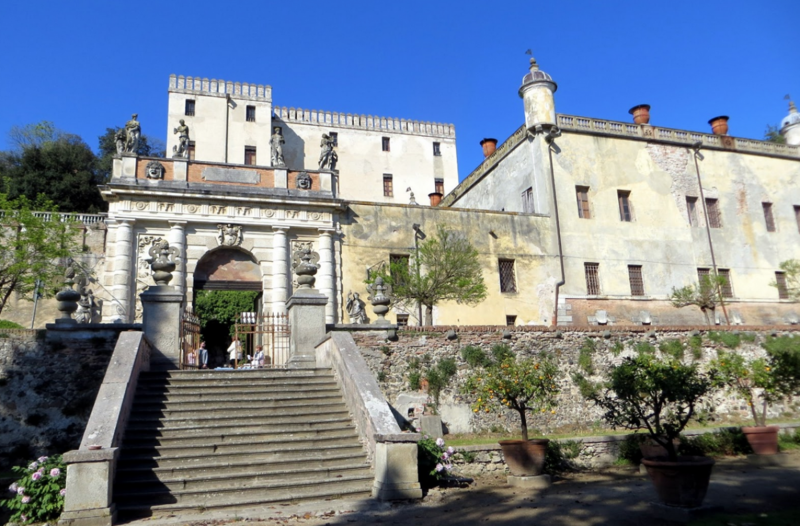 Among the other fountains, in front of the entrance, you can see the "Elephant Fountain", built by Pio Enea II Obizzi in the second half of the seventeenth century, in which mythological reminiscences (Bacchus) and taste for the exotic aesthetic. 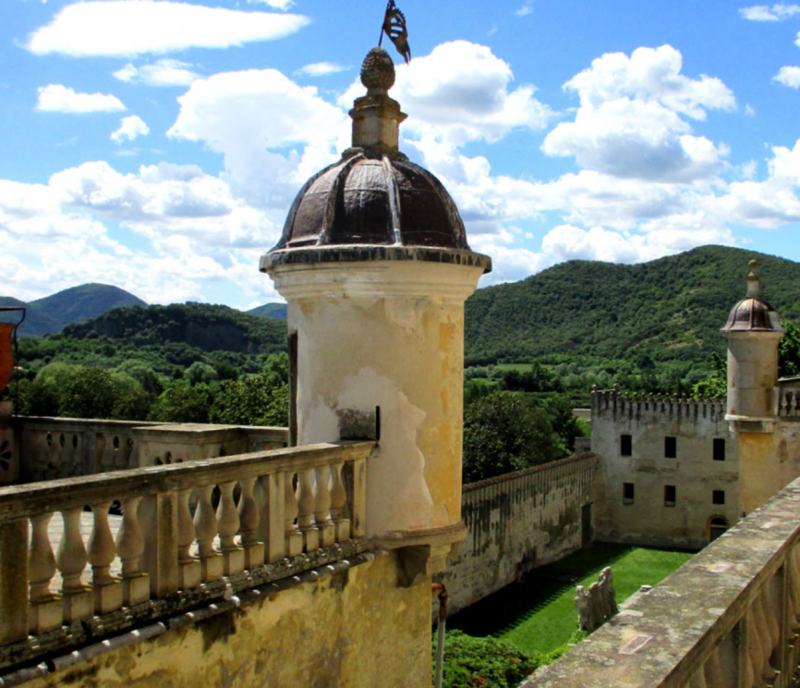 From here start the external stairs, built so that you could get on horseback. 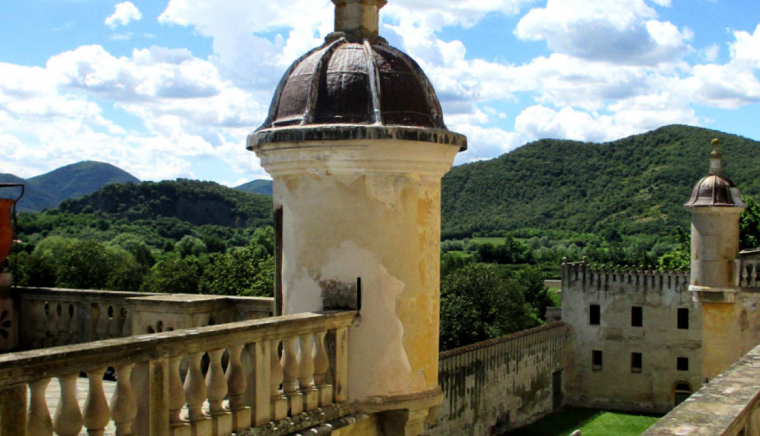 The internal staircase shows the support of the construction on the living rock of the hill (trachyte of the Euganean Hills). 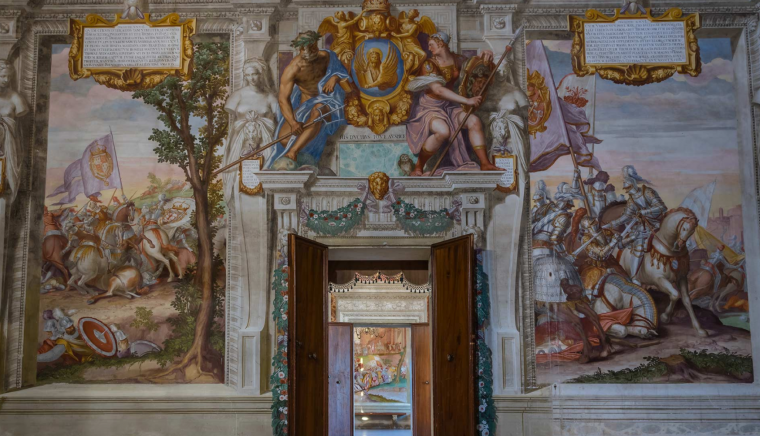 On the main floor, you enter the large frescoed hall, at the bottom of which stands the genealogical tree of the Obizzi family, from the founder Obicio I to the builder of the castle Pio Enea I. 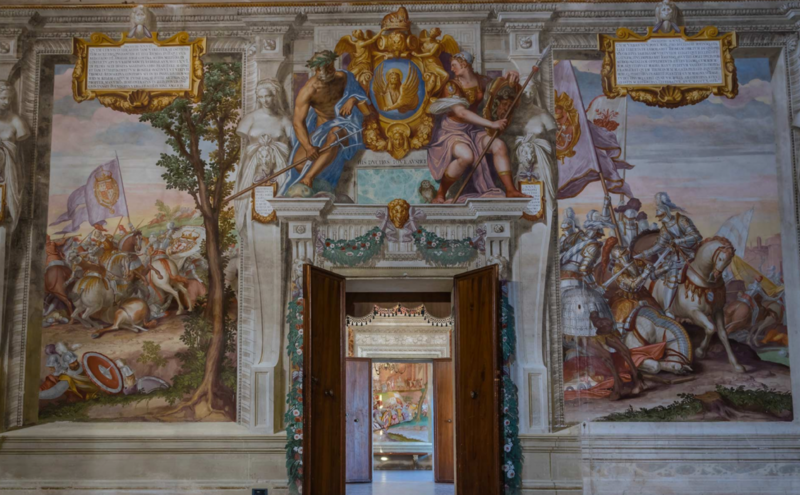 Various battles, terrestrial and naval are painted on the walls: they are illustrated the crusades, in which the members of the family took part, illustrated by captions in Italian and Latin. 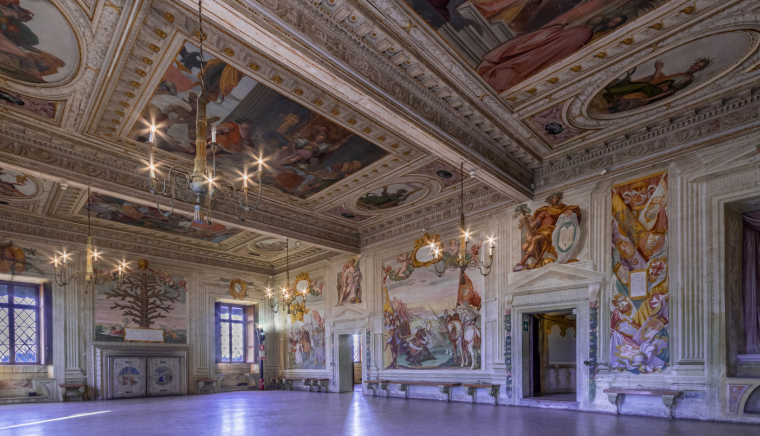 On the ceiling are represented the three forms of government: "La Democrazia" (Rome), "L'Aristocrazia" (Venice), "La Monarchia" (The Catholic Religion); around the first are the causes of his fall ("Avarice" and "Discordia"), while Venice has with it the "Prudence", the "Occasion", the "Concordia" and the "Peace" and finally around the Monarchy are "Happiness" and "Good Fortune", "Clemency" and "Ardire". 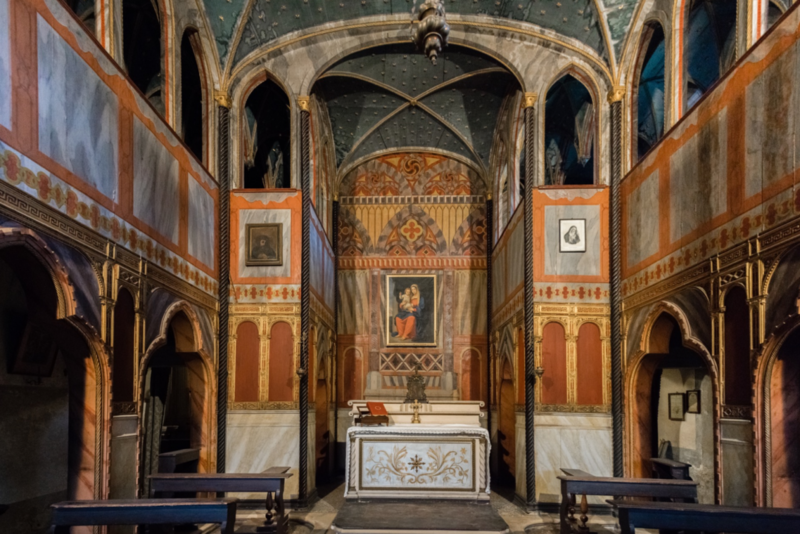 On the same floor there are five other frescoed rooms, still with depictions of the events and the deeds of the family, softened in ceilings and overheads, from various allegories. 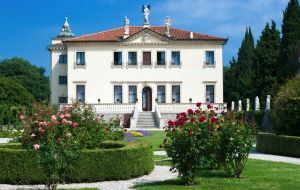 It is surrounded by a vast park with 26 hectares of ancient trees and the Garden of Delights in front of the castle spread over three hectares, with a large fish pond and numerous exotic plants and ancient plants of sequoia and magnolia, which are the first imported in Europe from 'America. 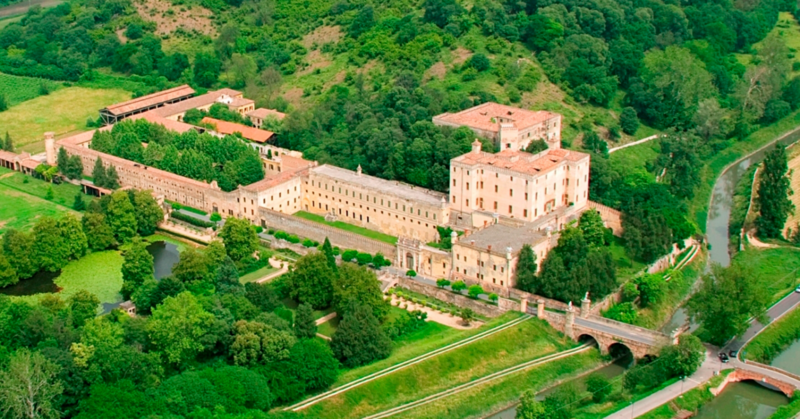 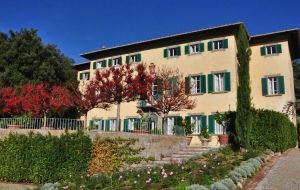 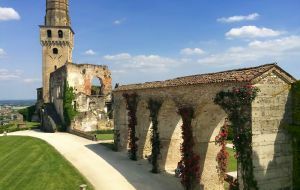 Furthermore, a panoramic terrace overlooks the hilly amphitheater of the Veneto landscape, ideal for large receptions.